Happy Birthday To Me. . .and a giveaway for you! Wow! It's been one year since I launched The Middle School Counselor Blog. Honestly, sometimes I can't believe I made it to this milestone. It has been largely due to YOU. I have over 160,000 hits and visitors from over 100 different countries. From the stats I know most of you are repeat readers. I am grateful for your readership, as this blog would mean nothing without you. But what's a birthday party without some presents right? So in honor of gift giving, I have a giveaway for you. I hope I get a lot of people to enter. It's easy; just follow the directions below. . .and don't forget to tell all of your friends! So, I love to play games and have fun with my kids, so this prize package is a set of some of my favorite (and 1 yet to be unveiled) counseling games. I haven't heard of the Rory's Story Cubes....looks like an awesome idea. 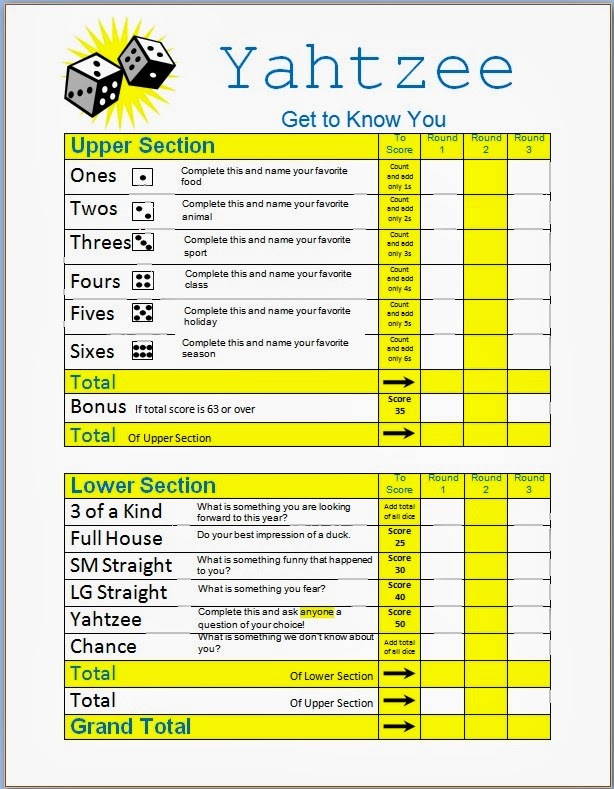 Also the Yahtzee Get to Know You looks like it would be fun in one on one or small group situations. My students would love the test taking bingo game! The Yahtzee game loss like it would be a great way to make sessions more fun! All of these look like great games. I am not familiar with some of them and will be looking into them further. The Yahtzee game looks like a great tool with small groups, classrooms and maybe even individual. Love your blog. I find great ideas here all of the time. Thank you for taking time to inspire others. Happy Birthday! The package of games looks incredible. I am always looking for ways to spruce up my group and individual activities. Thank you for your inspiring blog posts that keep me motivated and give me fresh, new ideas! Happy birthday! How to choose, how to choose???? You never cease to amaze me with your creativity and workhorse mentality. 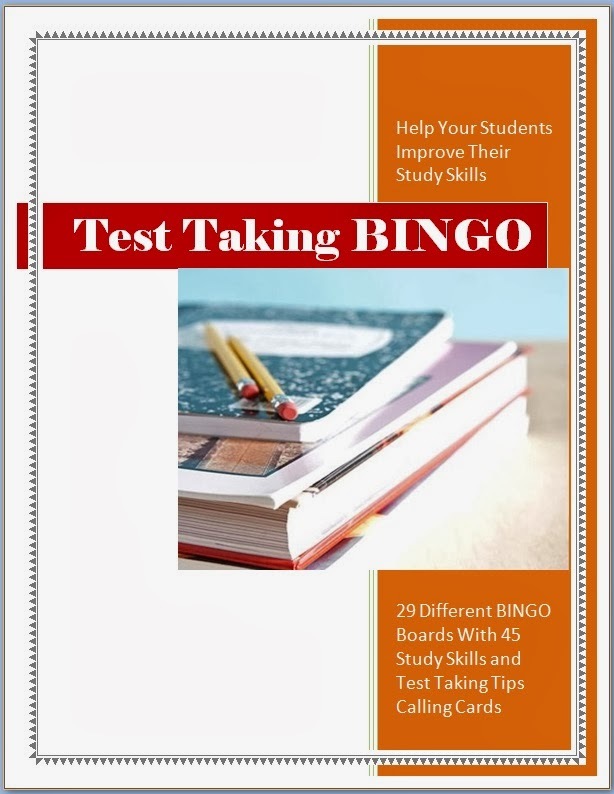 Because we are getting ready to focus on some test prep activities, I would say my favorite of the moment is Test Taking Bingo, but I can put them all to great use at the moment. And, oh man, I love a surprise, so I'm very curious! I've been looking for a good study skills game! Awesome! I'm interested in the Get To Know You Yahtzee. I have a Yahtzee game sitting right here in my office and your cards would be a fine activity to go with it. 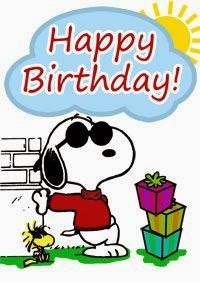 Happy Birthday to you today! I've been wantint to buy the Rory's Story Cubes! Happy birthday to you! I've gotten so many wonderful ideas from your blog. All three of these resources would greatly benefit my middle school counseling program. I know students would enjoy the story cubes, and next year I might be teaching a course on study skills so the bingo game would be perfect! Congratulations Carol, you have accomplished a lot. I am so happy I found you. You have been an inspiration and a great resource. I love all the gifts, but as you know I am looking for a great study skills game for my 7th graders. I wish you all the best in the future. Story cubes or yahtzee! Love being connected with you and other SC! Such great ideas and fun to follow! Yahtzee! What a great idea! Thinking about going back to school and came across this blog while using Google :) can't wait to do some more exploring here! I would love to win Study Skills Bingo! What a great way to teach kids valuable skills. Congratulations on your one year! Nice job! As a Director K12, the middle school counselors in the department would love the story telling cubes. I have observed them in lunch bunch groups where students love to tell stories about themselves or an event. It builds social skills and creative thinking! They would love it! I like the getting to know you bingo as an ice breaker, but honestly, I love it ALL! I am finishing up my masters, doing my internship at an alternative high school and would definitely use the test taking skills bingo! I love your blog and am inspired to start one of my own. Thank you for all you share! Collaboration is the name of the game!